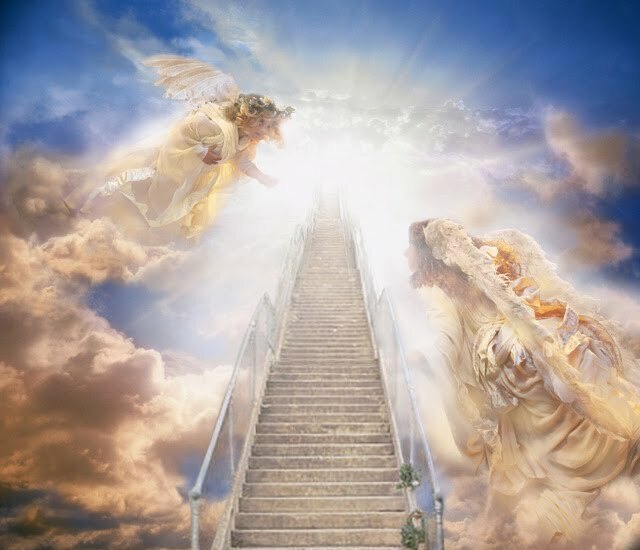 If you do a Google search on heaven, you’ll get thousands, maybe millions, of different depictions of what heaven looks like, what we’ll do there, and who will go there. Mark Twain once wrote a story called “Captain Stormfield's Visit to Heaven” in which Captain Stormfield steers off course on his way to heaven chasing comets and ends up at the wrong gate, where an alien race with seven heads and one foot were entering their heaven. When Stormfield finally gets to human heaven, they issue him a harp and wings, and he goes and sits on a cloud and sings for a couple of days then gets tired of it all and dumps his wings and harp in a big pile where others had left theirs. They all got tired of standing around singing all day and went to find something to do. While Mark Twain’s writing is probably the last place I’d steer anyone looking to have a deeper relationship with Christ, especially since he pokes fun at believers in the story calling this depiction of heaven the “biblical picture”, he does make a good point. Sitting on a cloud with wings strumming a harp all day is not a good way to spend a day much less eternity. The curse is gone—no death, work will be easy and enjoyable for men; there will be no pain in childbirth or discord in marriage for women (if these things even exist in the resurrection). We’ll get to serve God and the Lamb forever. But the most wonderful, most spectacular, most longed for thing about eternity . . .
We’ll get to see His face and not die! That’s what I’m excited about. The other stuff is good, but to see God face-to-face, to know Him and be known by Him face-to-face, no more long-distance chats, no more dark glass between us, but to be like Him because I can see Him clearly for the first time, that’s what I’m looking forward to most of all. What else is there that is worthy of looking forward to?